FC Barcelona Lassa had its five-game winning streak snapped on Thursday night in Athens, Greece, falling to Panathinaikos, 84–75. 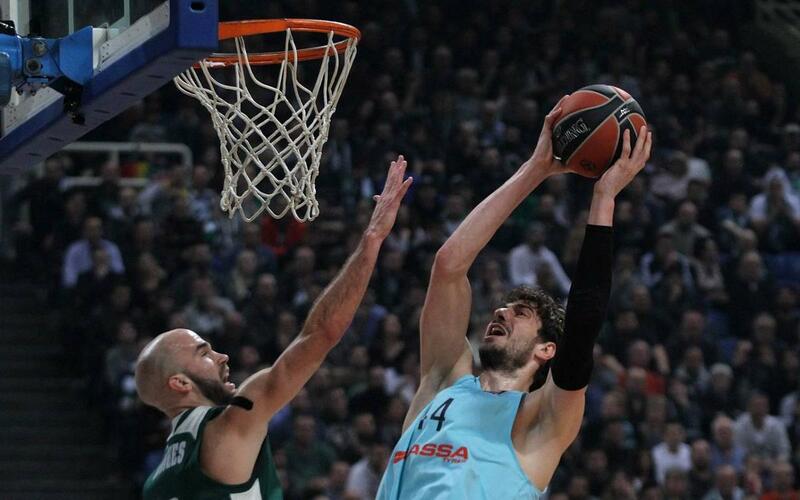 Barça led, 19–17, at the end of the first quarter, and was down by just four points at the half, but Panathinaikos’s home-court advantage wore down the visiting Catalans in the second half, allowing the Greeks to stay undefeated at the Olympic Sports Center. Barça’s French point guard, Thomas Heurtel, poured in a game-high 18 points on 6-for-11 shooting, including a perfect 2-for-2 from 3-point territory and a perfect 4-for-4 from the free throw line. AnteTomic added 12 points for Barça. James Gist and Nick Calathes led Panathinaikos with 17 points each. Calathes also dished out a game-high 12 assists and led all players with 5 steals.